Have you noticed that on social media, when it comes to people who are highlighted as influencers, that the lists often lack diversity? As thousands are carving a niche for their messages to the online world, there are members of the Haitian community who are using their voices to build movements to influence and create change. Some experts agree that the Internet transforms one’s “ability to speak up,” and these Haitian influencers are definitely speaking up. These Haitians are committed to their mission, and they are respected in the digital world because of their hard work. They have unapologetically taken a stand in bringing an accurate view of Haiti and its diaspora to the world. They are using the space to become what I often call “Haiti’s chief brand evangelists.” Yes, Haiti has them too. They are Haitians who are “worth finding and keeping,” like Seth Godin describes in his book, Linchpin: Are You Indispensable? They are a force in the community, and most importantly, they have tribes that listen to them. When I attend Haitian community events, I often hear the longing in people’s voices wishing these influencers would follow them because of their voices. I want you to know these influencers because they are consistently in the trenches and each brings something unique to the table. As you read about them, you’ll notice that some have more followers than others, but don’t let the number of their followers mislead you. They are likely to have more influence on their respective niches than people with more followers and titles. The influence comes in the form of how their readers and the community respond to them online. They are helping the rest of us connect the dots and reinforce our collective influences. Their passions are as diverse as politics, science, education, lifestyle, history, culture, entertainment, social media and business. Since I follow all of them, I have been fortunate to be the recipient of the value they bring to social media. Follow them because at some point today or in the future as they continue to build their platforms, you’ll probably need to reach out to them. So without further delay, here are the ten Haitian influencers on social media along with their Twitter handle. 1. Alice Backer – Alice is a pioneer in the citizens’ media space. In 2015, she launched Afrocrowd, a multilingual initiative to increase Afrodescendant participation in crowdsourcing initiatives such as Wikipedia. She is also the communications director and online community manager for La Caye BK, an award-winning hospitality brand serving authentic Haitian food where she curates and promotes the weekly La Caye Musically Thursday, which showcases up-and-coming Haitian acoustic acts. She has been aggregating and disseminating Haitian online expression since 2005 at her websites www.kiskeacity.com, www.haitianbloggers.com, and through social media and a newsletter. Haitianbloggers.com (initially Haitianbloggers.collected.info) is a live feed of blogs by people of Haitian descent from all over the world. She interviews notable Haitians who further the Legacy of 1804 on a weekly live podcast of the same name. A graduate of Barnard College of Columbia University, she also holds a J.D. from New York University School of Law. She has been interviewed on MSNBC, Al Jazeera, Télévision Suisse Romande, the Voice of America, Afrobeat Radio and on Jamaican TV and Haitian radio on her citizen media campaigns in Africa, the USA and Haiti. Colorlines, the Black Star News, Our Time Press and Kreyolicious have covered her campaigns. Follow her @kiskeacity. 2. Ilio Durandis – Ilio is the founder of Haiti Bioscience. Anyone who follows Durandis is bound to get some valuable insights into Haiti’s politics and his passion for changing the limited number of scientists in Haiti. Durandis holds a master’s degree in Molecular Biology, a bachelor in Biological Sciences, and a degree in Political Science. He currently serves as the Vice-Dean of the Medical Biology department at Universite Notre Dame Haiti- in Hinche. In February 2015, Durandis presented the results of the Haitian Bioscience Initiative pilot at the annual AAAS conference as part of the Science for Haiti Reconstruction Symposium. He has written more than 200 articles on Haiti. His publications can be found at the Haitian Times, Haiti Rewired, Caribbean Journal and Medium. Ilio is also working to launch the startup Veritab Services in Haiti. Reach him @durandis. 3. Kreyolicious – (Kat Cherie) is the founder of http://kreyolicious.com, an award-winning cultural platform and brand that targets Haitian-Americans. In her quest to learn more about her heritage, and desiring to create a space where the positive aspects of Haiti and Haitian culture could be showcased, she launched the company 3 years ago. Cherie is also the founder of Haitist.com, a web portal that promotes Haitian travel and tourism. She’s keen on digital marketing, culture curation, her family, and friends. Reach her @kreyolicious. 4. Vivens Joachin – Joachin is building an important platform. He is the founder of Nou Tout Konekte (meaning we are all connected). His focus is video and bringing a sense of connectivity to the diaspora and Haiti. The Nou Tout Konekte show helps to create a network of well-intentioned individuals to promote Haiti via social media. His primary platform is YouTube, but he has a presence on all the major channels. He works with the youth to create educational sketches and web shows to showcase Haiti and its diaspora to the world in a positive light. To learn more about Joachin, you can follow him on Twitter @vjoachim. 5. 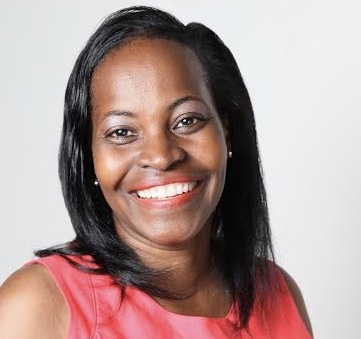 Katleen Felix – Katleen is the co-founder and president of the Haitian Hometown Association Resource Group. She was the Haitian Diaspora Liaison for Fonkoze for 6 years. Her most recent project is the launch of Zafen, a crowd funding website for small and medium-sized businesses and social enterprises in Haiti. She is an international consultant and holds a master’s degree in International Finance and Management from HEC Montreal. Reach her @katleenfelix. 6. Nelson Deshommes – Nelson is leading the way as a Cap-Haitian journalist and blogger. Whenever I want to get up to speed on the latest news in the Northern section of Haiti, I read his blog or Twitter feed to keep my pulse in Cap-Haitian. Nelson’s platform is primarily in Haitian Creole and French. Since he lives there, he has a unique perspective on the developments in that region. We need more Haitian bloggers like Nelson from every province in Haiti to help bring the local media to the global stage. Deshommes is passionate about technology and the digital world. He writes regularly on his Mondo Blog platform rfi. Follow him @viablesolitaire. 7. Garry Pierre-Pierre – Pierre-Pierre is a Pulitzer Prize winning, multi-media and entrepreneurial journalist. Pierre-Pierre spent six years as a staff reporter at the New York Times where he covered the New York Metropolitan area with special assignments in Africa and the Caribbean. He was a member of the team that won the Pulitzer Prize for spot news for the New York Times coverage of the 1993 World Trade Center Bombing. He is the founder of Haitian Times, an award winning English language newspaper based in Brooklyn that is considered one of the most important news sources for the Haitian Diaspora. Pierre-Pierre is the executive director of the Community Reporting Alliance and founder of the City University Graduate School of Journalism ‘s Center for Community and Ethnic Media. He is also the co-host of the show Independent Sources on CUNY TV. Reach him @GPPhaiti. 8. Jean-Junior Joseph – Joseph is a leading political analyst and a blogger with a focus in Haiti. He was the former press secretary of several previous prime ministers in Haiti. He is able to bring some common sense and balance to the political noise that often permeates Haitian politics. Joseph is also a specialist in web-based applications and their use in developing communications outreach. He is a sought after speaker in the media space as well as internationally. Reach him @jeanjuniorj. He believes that to be successful, one has to care deeply. He is a graduate of George Washington University Graduate School of Political Management, with a Masters degree in Political Management with electoral emphasis. He is a recipient of the Republican Senatorial Medal of Freedom; the highest honor the Republican Members that the U.S. Senate can bestow. He also received the 20th Century Republican Leader Award from the Republican Senatorial Trust. Follow him @mjjonassaint. 10. Carel Pedre – As the host of Radio One’s Chokarella (Creole for Carel’s Show”) Haiti’s number one morning show, and the TV Shows Kiyes Ki Towo A” and “Digicel Stars,” Haiti’s number one talent search. Pedre has established himself as a force to be reckoned with in Haiti’s entertainment industry. He has hosted a version of what we refer to as American Idol sponsored by Digicel in Haiti. Through the power of social media, Pedre was instrumental in communicating the urgency of Haiti’s plight to the world after the tragic 7.0 earthquake that ravaged Haiti on January 12, 2010. On that tragic day, Haiti was cut off from the rest of the world; no Internet or cell phone signals were to be found. But Pedre was able to find a scarce Internet connection, allowing him to send a brief message via webcam, informing news outlets around the world of the dire situation. As a result, Pedre became Haiti’s de facto international media correspondent during the immediate post-disaster efforts. The French press has dubbed him “The eye of Haiti,” and “The host with the big heart.” He is the recipient of the 2012 Humanitarian Shorty Award for his exceptional coverage after the January 12, 2010 earthquake. Follow him @carelpedre. ABOUT THE AUTHOR: Daniella Bien-Aime is the founder of the Bien-Aime Post, a digital media platform that focuses on business, leadership, education, and social media, within the context of the Haitian diaspora and Haiti. You can follow her on Twitter @dbienaime or find out more from her at Bien-Aime Post.com. Très content d’être choisi. Mais, il y en a vraiment beaucoup d’autres qui font un très bon travail pour promouvoir l’aspect positif de notre chère Haiti. Par exemple, je peux citer Junior Rigolo de Pi Lwen Ke Zye (entertainment), Nazor Apparel (Business), Wendell Theodore (Le Point sur Tele Metropole), The Bien-Aime Post, etc… Very humbly touched for being selected and thank you. Anyway, just to tell you a bit more about the vision of Nou Tout Konekte. We’d like to reach a point where those we touch or reach are infected with an incurable Haitian virus that produces concrete action and limits rhetoric and poeticization. So honored to be included. Thank you. Hello Vivens, you are welcome! I love the message you are communicating to the world about Haiti. In terms of adding to the list, I’m hoping this list will be an annual initiative. Hopefully, as other influencers emerge in the space, I can add them. I just followed the few you mentioned above. Thank you. Thank you very much Daniella for this great honor. This is a wonderful initiative and I hope that you reach out anytime you need our support. Congratulations to all those mentioned and those working in the tranches but not on this list. You all deserve an accolade for your good work!